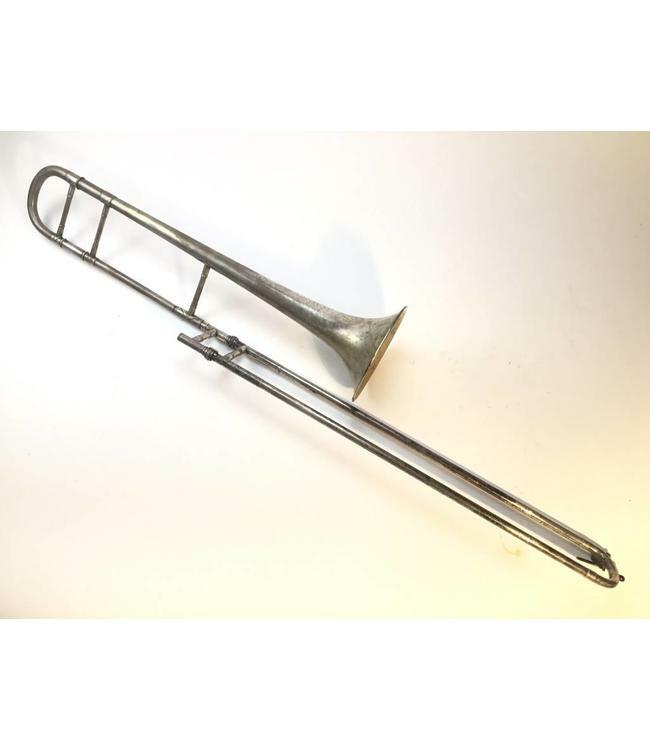 Used Conn 4H "Artist" Professional Bb Tenor Trombone in silver plate. .485" bore hand slide, 7" bell flare w/faded gold wash interior. Instrument is in good condition apart from minor plating loss and tarnishing throughout. Minor plating loss on bottoms of inner slide. Comes with case.